Nestled on the northern-most tip of the United Kingdom in Caithness, Scotland, four miles from Dunnet Head, are The Castle and Gardens of Mey. 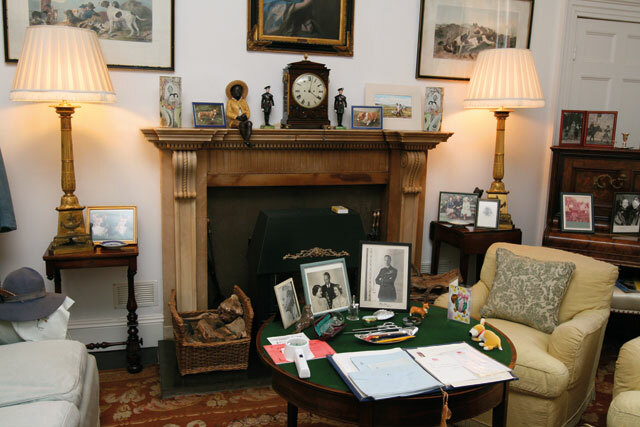 This was the only home ever owned by Her Majesty, Queen Elizabeth The Queen Mother. 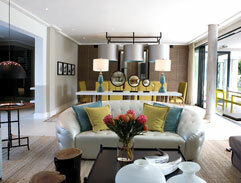 The library is decorated with personal memorabilia, treasured family photographs and gifts. Her Majesty spent time playing after-dinner games such as Racing Demon and watching her favourite television programmes such as the Dad’s Army sitcom. The library became a private sitting room and study in later years. 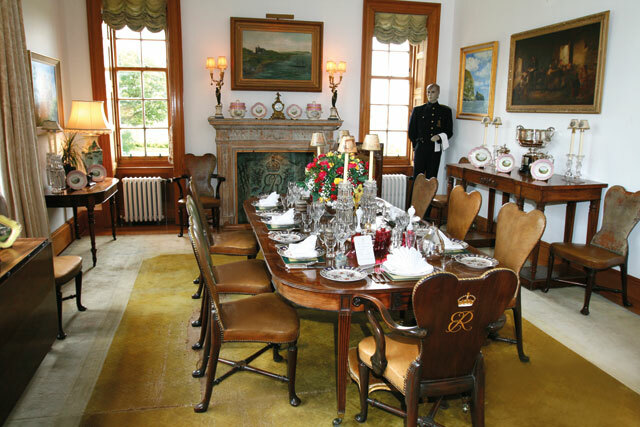 The dining room sports the most opulent interior in the castle. Here, treasured pictures, works of art, gifts and trophies all combine to create a wonderfully elegant yet informal atmosphere. Having acquired the castle, The Queen Mother renovated and restored it, creating the beautiful castle and gardens that are enjoyed today. The warmth and affection of the people of Caithness, combined with the country’s great beauty, meant that Her Majesty always enjoyed staying here. 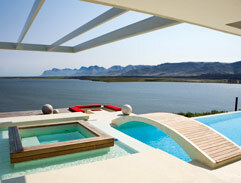 This castle was opened to the Top Billing team on a once-off private basis – something that had never been done before. 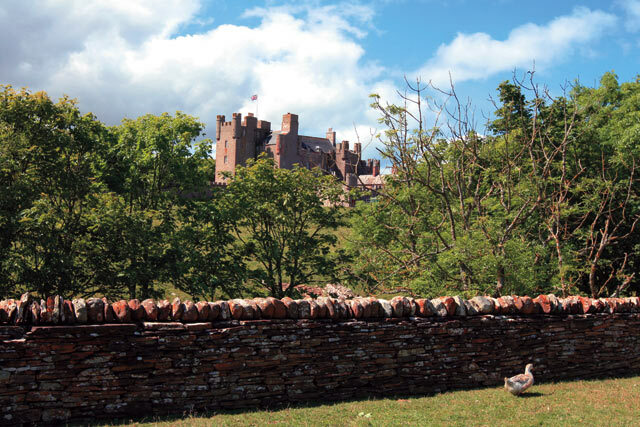 The castle, usually only open to day visitors, had just bid farewell to HRH Prince Charles and HRH The Duchess of Cornwall (Camilla Parker-Bowles) after their annual holiday to the castle in August. 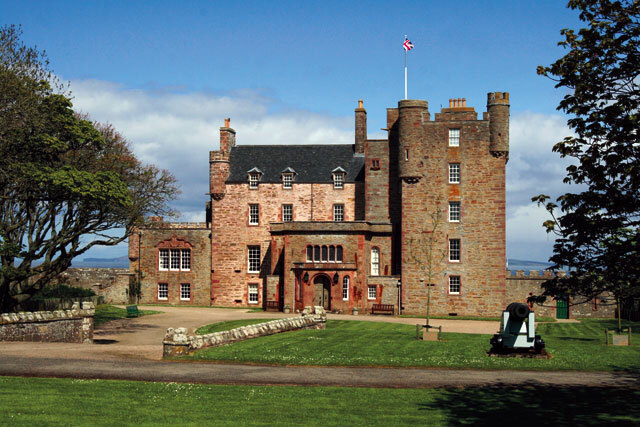 The castle is flanked by a rocky coastline and, on a good day, views stretch to the Orkney Islands. The castle’s Z-plan design, tower and corbelled turrets are typical of the late 16th century. 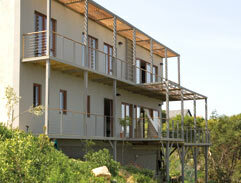 Within the 15-foot-high Great Wall of Mey lies a beautiful working garden. Comprising around two acres, vegetables aside, this garden is filled with marigolds, pansies, dahlias, primulas, nasturtiums and sweet peas, while old-fashioned shrub roses and climbers are the highlights of the Shell Garden. 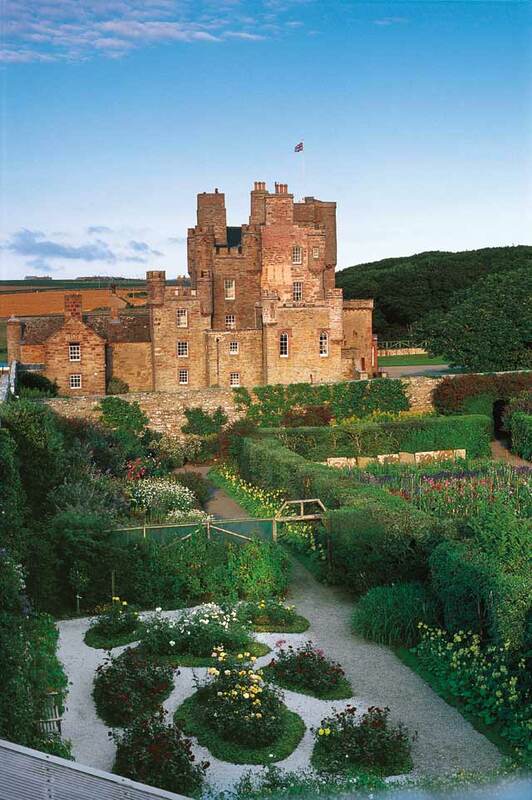 The Castle and Gardens of Mey are romantic, rugged and beautiful – combining peace and tranquility in the open and uncrowded countryside, with the rugged glory of a magnificent coastline. 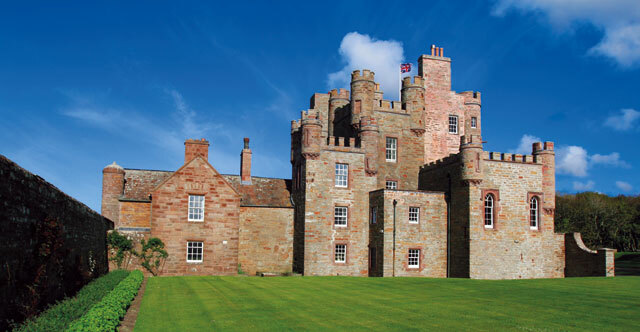 Her Majesty Queen Elizabeth, The Queen Mother’s former Caithness home, has been brought to you by Tourism Corporation Africa Ltd in association with The Queen Elizabeth Castle of Mey Trust (as published in Top Billing Magazine November 2010).